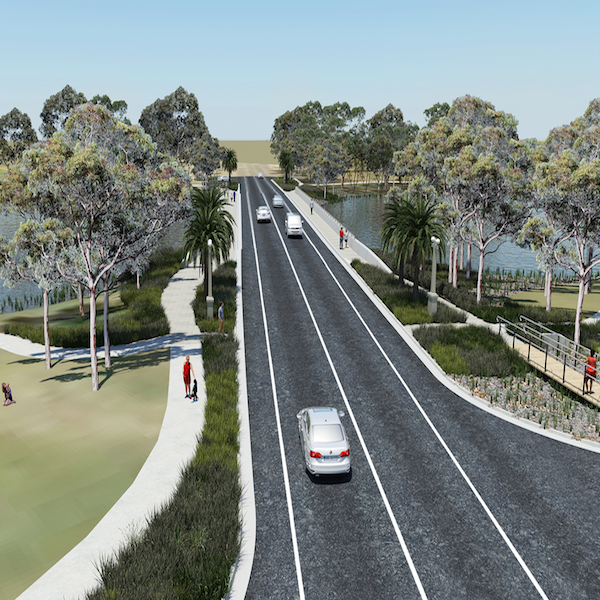 KI Studio have been working with NSW Roads and Maritime Services on this exciting country bridge project, preparing the urban/landscape design concept, landscape character and visual impact assessment and visualisation video presentation which are currently up for community review. This is a bridge replacement project that has been developed with character and sensitivity to context. 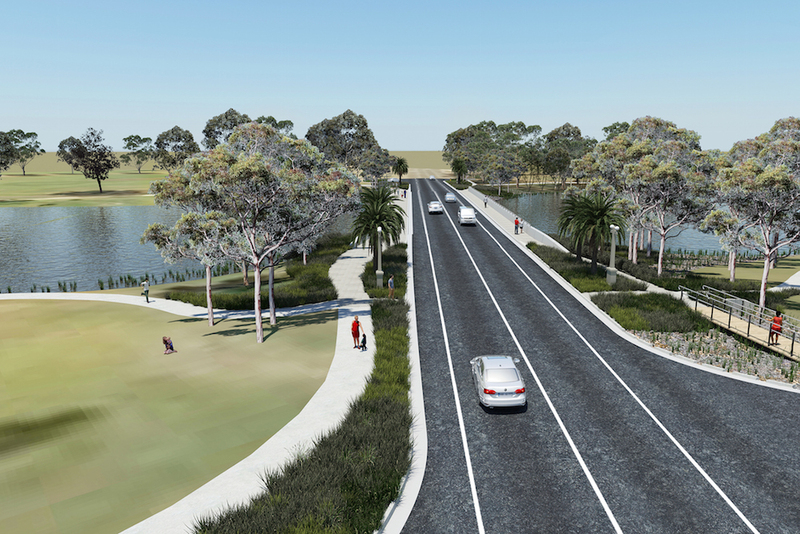 As well as being a vital crossing across Lake Forbes the project contributes to the public domain and the greening of the town, and provides an attractive promenade for Forbes residents. The new bridge is a contemporary interpretation of the existing structure, and as landscape architects we proposed a number of sustainable initiatives that helped transform this bridge project into a high quality gateway setting as part of the entrance into Forbes. Water sensitive urban design initiatives create a new focal point that, combined with feature planting of Palms, will transform the streetscape and enhance the adjacent Lake Forbes context. The scheme will showcase practical, cost effective ways of implementing water sensitive design and will contribute to enriching the Lake Forbes foreshore areas adjacent to the new bridge. A more organic water’s edge to the lake adds visual interest and integrates stormwater management and cleaning as part of the landscape, carefully integrated with the new earthworks to each bridge abutment. Find out more about the project on the Roads and Maritime Services website.